Your friendly rental center providing power tool and equipment rental in Clare and surrounding areas since 2010. Resource Rental Center is family owned and operated. Our mission is to provide a great rental service with quality equipment to Clare and surrounding communities. For all your equipment rental needs, contact Resource Rental LLC of Clare, MI. We guarantee quality service at reasonable rates. Our friendly staff is ready to assist you. We offer various rental time periods, 4 hour, day, weekend, week, and month. On our metered machines there is a maximum of 8 hours per day, 40 hours per week, or 160 hours per month. Ask about our special weekend rates! 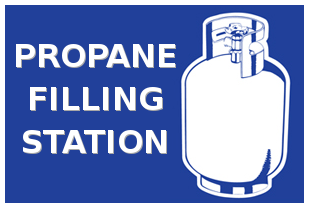 We do propane refills at our rental location! We can also pickup and deliver to your jobsite or residence. Please contact us for a delivery price!